Long before the disgraceful and absurd controversy over Idris Elba’s suitability to play James Bond, Elba had already starred in one of Tyler Perry’s best movies, “Daddy’s Little Girls”, a poignant drama about an underemployed mechanic from the inner city fighting for custody of his three daughters from a rather bitter ex. When I initially saw the film in theaters back in 2007, I thought Elba was a new American actor. I didn’t initially recognize him from the movie “The Gospel” (2005). After the movie, I googled him to discover that he was actually a Brit. I was intrigued but thought no more of it. Fast forward to 2015. Idris Elba is now a bonafide A-lister, having either starred in or acted key roles in all kinds of Hollywood blockbusters, actions, dramas and thrillers. How did Tyler Perry know? Now the secret is out that British actors are truly something special, due in part to the runaway crossover appeal of Benedict Cumberbatch and underscored in by a recent invective from Michael Douglas criticizing American actors while praising British acting. After the success of “Daddy’s Little Girls”, Elba continued a stream of steady acting jobs both in the States and the UK. Everyone now sees that Elba is an uber talented actor, gifted with an unparalleled acting fluidity. But when a director casts an actor as a lead, he sees what others may not see – “star quality”- as well as a deep well of talent and leadership since the lead actor often sets the tone for the movie and the other actors. The body of Elba’s work before and since 2007 points to steady, progressive, and diverse acting challenges. 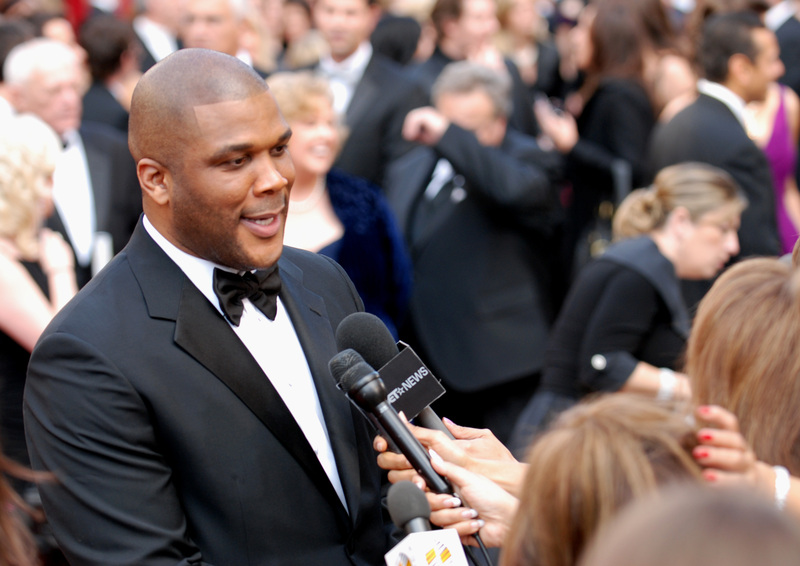 I am an unabashed fan of Tyler Perry, but I am also an objective film commentator. I recognize when someone is on to something and obviously Perry was on to something when he cast Elba as lead long before the rest of Hollywood caught “Britmania”. Other directors have followed suit, snapping up British actors left and right. I’ve long believed that Tyler Perry would be more welcomed and appreciated in England due to his elasticity as an entertainment professional. He wears the hat of producer, director, actor, songwriter, screenwriter and other roles. American entertainment tends to rigidly stereotype entertainers, rabidly enforcing typecasting based on factors that seem unimportant to the British entertainment business. I wasn’t able to find any interviews discussing Mr. Perry and his apparent affection for the Brits. Personally, I’d love to know his thoughts on the topic. Now that Hollywood is under siege from London, certainly more discussion, controversy, and competition will arise. Having just expanded his Atlanta studios, will Mr. Perry begin scouting Wales for a UK satellite studio? I sincerely hope so.